This trail takes you across France, from the provence in the East to the Atlantic coast. In between you pass the beautiful Montagne du Lubéron and the famous Mont Ventoux. Another famous place is the Gorges du Verdon. Further west you cross the Rhône and walk towards Clermont-Ferrand and the dead volcanoes and Puy-de-Dôme. The crossing of the high plains of Auvergne is a special thing. Next is the region of Limousin and finally the Atlantic. Be aware that the region around the Lubéron might be closed all summer (july-august) due to risk of forest fires. Positive Een wandeling door een heel gevarieerd landschap. Pre Alpen, Provence , Ardèche . Door de diepe kloof van Gorge du Verdon en over de Mont Ventoux. Warm, wind heerlijk. Wel pittig is de klim direct omhoog de eerste dag. Zeker als het heet is en het daarvoor veel geregend heeft. Negative South from Auvergne the trail took mostly roads. I only did the part in the Massif Central. Some basic information about the GR4. 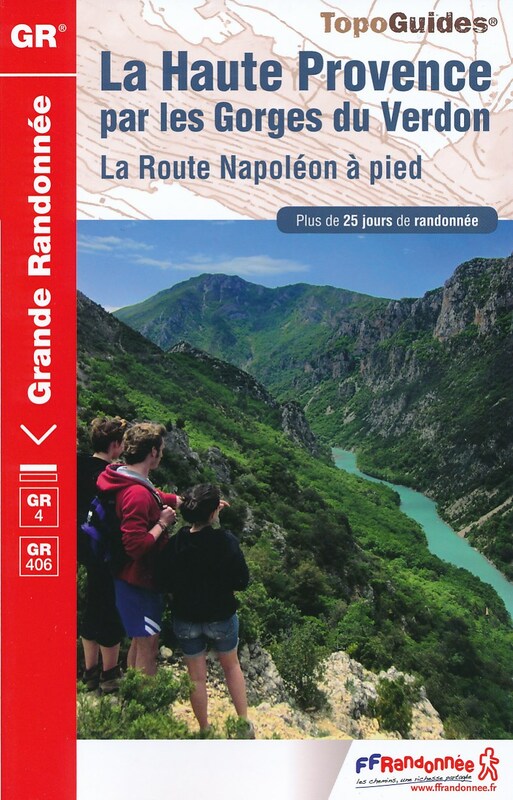 Description of several trails in the Gorges du Verdon, Provence. The GR4 takes you into the cleft itself, the GR99 comes near the gorges. Day to day description of a part of the GR4, including the Gorges du Verdon. Some days along the GR4 in the Provence. Monts du Cantal – 5 jours autour du Puy Mary – GR400 - GR4 / Le forum de la randonnée légère ou ultra-légère ! This trip report is decorated with beautiful pictures of a green and sunny land. Rando 21 is a hiking club. Here a basic text-style blog; might give you some clues. Report of two weeks hiking around the Luberon and the Mont Ventoux. Day to day description and fine pictures.